Delicate Arch approaching sunset and the snowy La Sal Mountains. I love the juxtaposition of the desert sandstone in the foreground and the alpine landscape behind it. A touch of evening light to make them glow. 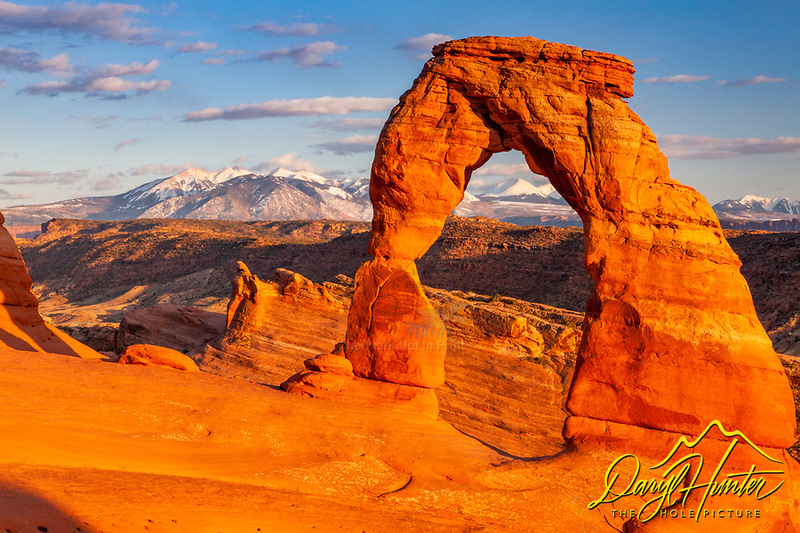 Delicate Arch is the Iconic landmark of the State of Utah.